The people at designer sofa are exceptional with their care and expertise but it is the quality their workmanship that is absolute first class. From the carpenter who makes the beech thro to the lady who cuts the material the upholsterers and machinist are all the top in their trade so you are going to have the most comfortable sofas that last. Mine was made exactlty as i asked, am i happy with them, you bet i am. It is almost unique nowadays to be totally satisfied with any service, however I am. From advice, design, manufacture and delivery these guys are the best I have encountered. Will recommend them without hesitation. I am glad you like your Bed sofa, we are doing more of them over the last few years. We can put a sofa bed in our sofas and corner units, to give you an extra comfy bed in your home. Thank you from all the team. I have just received my wing back chair and I am more than delighted. Great customer service and workmanship. We thank you for all the help in designing a very comfortable 3 piece suit. We had been looking around all the large shops but there was nothing suitable, problems like sitting heights depth of seat height of arms and choice of fabrics. Designer Sofa because they are bespoke manufacturers we were able to solve all these problems in just a few visits their care and help was commendable and the result very satisfactory. I highly recommend this company. People don't realise how easy it is to look for a sofa when you can have any size you want, and you have no restrictions. People are used to going around the shops and only finding something that will do but not right, and this is not good enough for most people. When you have experienced a bespoke company like The Designer Sofa and find out how easy it is to find your perfect sofa, you want to tell everybody as it makes life so much easier. We design comfort into your new sofa, and it is intended to last for years to come with a massive 35-year construction guarantee, that you just cannot get with a high street company. There is an old saying you get what you paid for, but with The Designer Sofa, you get more than what you pay for. A real family business, giving a friendly, personal service where nothing is too much trouble. We decided that our old suite needed replacing but our living room is small and we needed something petite to fit in. A bespoke 3 piece was required. We chose our preferred suite and The Designer Sofa were most helpful offering to adjust the width, depth and height to suit as part of the service. We are delighted with the result and have already fallen asleep on our new furniture in front of the fire on a number of occasions due to its comfort. I visited the showroom recently and was welcomed like an old friend, such is the service. I cannot recommend them highly enough ! Excellent customer service. 4 years after the purchase of our sofa, we decided to alter the height of it. Ian gave us spare legs to try at home to make sure we got it right and then did the alterations for free. He also took the time to talk through different cushion types and made sure we didn’t make any hasty, expensive decisions. We cannot thank you enough for our gorgeous new sofas. After 15 years we decided to change to our dream sofa, a chesterfield. With your expert advice we were able to work out what we wanted from fabric and colour to size. Even better you carried out a measuring service which was for us invaluable. It took all the stress out of the process for us. It was even not too much trouble to hold the sofas for us for a couple of weeks because of a delay with a new floor. Delivery was a breeze and at no time did we have to worry about any little detail because of the quality of both the service and workmanship. We have and continue to recommend you and will certainly be back again for other rooms. A special mention to Ian who went above and beyond and was very patient answering all our questions. Our sofa, chair and footstools where purchased 7years ago and apart from a few dog hairs I haven't brushed off today they still look as good today and are just as comfortable as when we had them. Furniture that's made to to your own requirements whether its extra support needed for a bad back or preference for a slightly taller chair back Is not a problem. The service, knowledge, quality and craftsmanship from all at The Design Sofa can not be beaten. We enjoyed the friendly and helpful approach to the process of reupholstering our 20+ year old suite which has been transformed and looks very much as if it will last us yet another 20 years. The care taken at every stage from quote to delivery was exemplary and we'd most certainly recommend the Designer Sofa team to anyone looking to revive a tired sofa or chair. Thank very much for your feedback, and it is reviews like this that make it all worthwhile. We are a family firm that treats people how we would like to be treated, from walking through the door for the first time, to coming to see your finished work before we deliver it to you. We ask all or customer to visit us when their work is compleated, whether is new or re-upholstery, to have a look and to make sure the work has been carried out to a high standard and they are happy before the balance is paid. Nothing is ever delivered to you unless it is 100%, we want you to be happy with the finished work. From all the team. We have the most sumptuous settee, chair and footstool all made to our specific requirements. It all looks spectacular in our lounge, we are absolutely delighted with the effect. The customer service from all of the team has been second to none, a most friendly service. We will be returning in the future for other pieces. Thank you so much everyone at The Designer Sofa. Thanks for restoring areas of our ten year old Tetrad sofas destroyed by our cats! They now look like new. The cats have also had their claws clipped! We are very pleased with your work. I would highly recommend this company. Bought Knowles 15 years ago and just had recovered. Excellent job. The really good thing about this company is that they really do care about customer satisfaction and will go to almost any lengths to ensure that you are happy. I would not buy a sofa from anywhere else. They are great value, especially when taking into consideration the quality and service that I received.. Whether you have a new bespoke sofa or your sofa re-upholstered we always want to make you happy and we go that little further to ensure this happens. Quality and our customers are our number one priority, and I think it shows in the reviews we receive. Thank You from all the team. We are extremely pleased with our sofa, chair, footstools and cushions delivered last week. The standard of service from Designer Sofa was excellent from start to finish. From discussing style and fabric choices to placing the furniture in our house, everything was easy to discuss and agree. Delivery was on time to original estimate when order placed, and to suit us. Extremely high standard of workmanship, and so comfortable. We were recommended to The Designer Sofa by a friend and was absolutely delighted with the service and help provided from start to finish. It was fantastic that we were able to have a bespoke sofa that met all our requirements where we could choose the exact size required and there was so much choice of fabric. 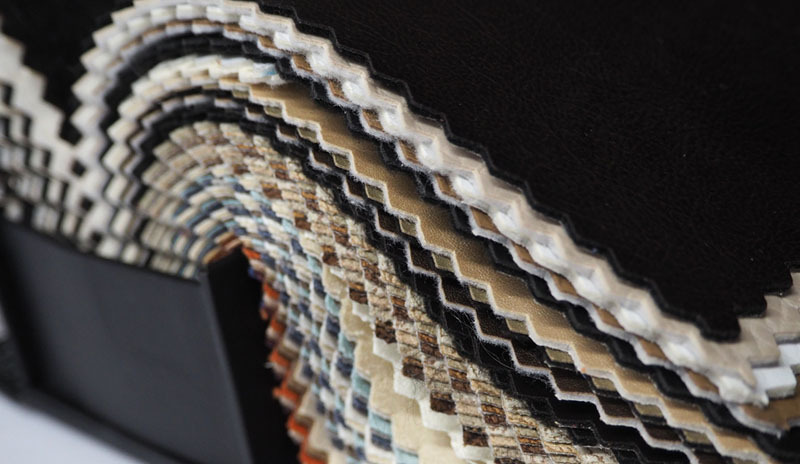 Ian and the team have so much knowledge of upholstery and can also advise on certain aspects of the design to ensure it is exactly what you need. The quality and comfort of our new sofa is excellent! I would never buy a sofa now from anywhere else and recommend them to all my family and friends. Thank you to all the team. We always aim to please we are so glad you like the work we produced for you. All our sofas are made especially for each customer and we are very proud of the quality we produce which comes through in the reviews and feedback we get from our customers. You just don't get the attention to detail and quality that we produce in the High Street shops. Thank You From all the Team. Uninspired by lack of choice, quality and value for money from high street retailers and department stores, the Internet persuaded us a trip to Long Eaton might be worthwhile. So pleased we did as the service afforded by Taz and his team was first class. From a picture we provided from a magazine, we had made a snuggler and a sofa in matching fabrics. At a cost no higher than we could have paid on the high street, we have two beautiful and unique pieces of furniture that we are absolutely delighted with. We would recommend anyone looking for quality and service and unable to find it on the high street, make the trip to The Designer Sofa at Long Eaton.